I just have one mostly tangential thing to say about this. Houston will see a modest and steady growth in retail activity in 2013, according to Ed Wulfe’s annual retail forecast. And the following year should be much better, said Wulfe, who is chairman and CEO of Wulfe & Co., a retail development, brokerage and property management firm. The amount of new shopping center space to be built and opened in 2013 will be slightly greater than this year’s, while 2014 should be “very strong based on what’s underway,” Wulfe said. I note that story mostly because it seems like as good an excuse as any to wonder once again about the status of all those long-dormant projects whose empty lots serve as a daily reminder of their lack of activity. I speak of course of the Stables and the Robinson Warehouse, now celebrating its sixth anniversary of vacantness. At last report the Sonoma site was being redeveloped; I can’t personally confirm this, as I generally avoid the area. Regent Square was supposed to have commenced construction in October, but I haven’t seen anything on the Allen Parkway part of the property. And one property that I generally forget about but was in the news recently, the old Astroworld site, also continues to lay fallow. I know this story is about retail development, and most of the sites I’m talking about were intended to be residential or mixed-use, but I feel like the Houston real estate market won’t truly be healthy again until something is happening with all of them. Last week, we got word that the old Astroworld site, which has been empty since the last of the old rides were auctioned off in January of 2006, has a new owner – it had previously changed hands back in 2007 – and the Chron’s Nancy Sarnoff spoke to the new owners about their plans for the site. 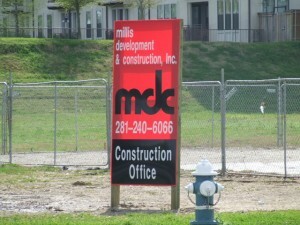 It’s Mallick’s first major investment in Houston. The boutique real estate firm developed the Horseshoe Bay Resort Marriott in the Hill Country and has been involved in public/private inner-city redevelopments in the Dallas/Fort Worth metroplex. “We feel like Houston is probably one of the stronger economies in Texas right now,” Mallick said. The calls he’s received since buying the property are proof that others agree. It leaves open the chance that something could happen to the property sooner rather than later. Before anyone gets too excited about that, here are a couple of points of comparison. The Robinson Warehouse site has been fallow since January of 2007. Unlike the Astroworld land, its owner (at the time, at least – I have no idea if it’s the same folks or not) had a specific plan for the land, and seemed to be raring to go on it. It hasn’t happened, that’s all I know. 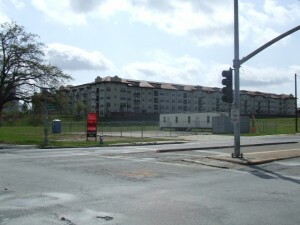 Also at that time, the old Stables Restaurant was torn down, with the land underneath it being acquired by a group that now owned a “crucial one-acre parcel in the Med Center area”. They didn’t have any specific project in mind, as far as I knew, however, and as with the Robinson Warehouse site, it’s still dormant today. Point being, don’t be surprised if a couple of years from now you read another story about another sale of the Astroworld site to another real estate group, with nothing else to indicate that something will finally be built there. Are they finally building something on the Robinson Warehouse site? 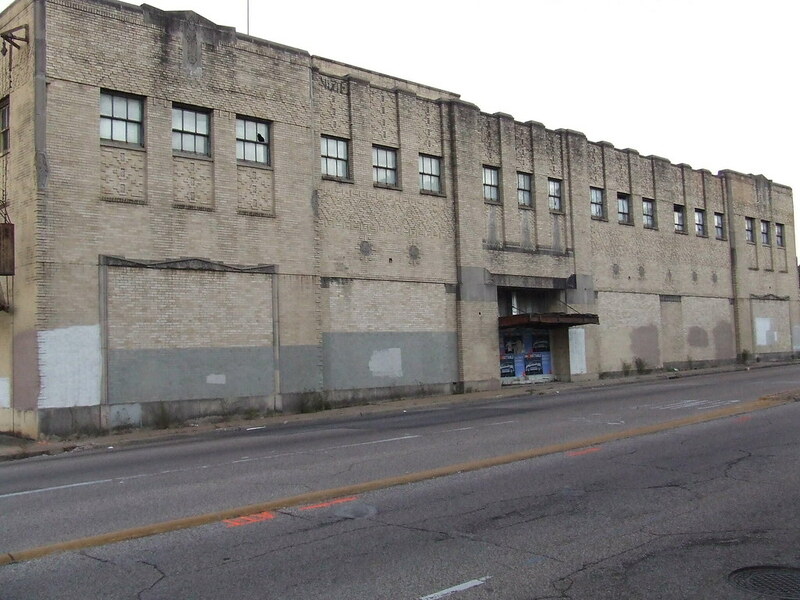 Remember the Robinson Warehouse? It’s been more than three years now since the old building at Montrose and Allen Parkway was demolished, and the site has been fallow ever since. But in the last week or so, some signs of life, or at least impending construction, have appeared. What are they building here? You may recall that the land had been bought by the Aga Khan Foundation with the intent of building a Muslim Ismaeli center there. After all this time, I have no idea if that’s still the plan and it just took them longer than they might have thought to get it going, or if the property has changed hands and something else is about to be built. Anybody know what’s up? Swamplot to the white courtesy phone, please. Swamplot brings the sad but totally expected news. As noted in today’s Daily Demolition Report below, 20 structures of the Wilshire Village garden apartments at the corner of Alabama and Dunlavy received demolition permits yesterday. Aren’t there only 17 buildings in the complex? Maybe everyone’s just trying to be extra sure to get them all. Somehow, that’s just fitting. My only request is that someone take pictures of the demolition. Then we’ll see how long it takes before something is built in its place – as we know from various other examples, it could be awhile.